Posted by Anton A in American music, Soulfarm. 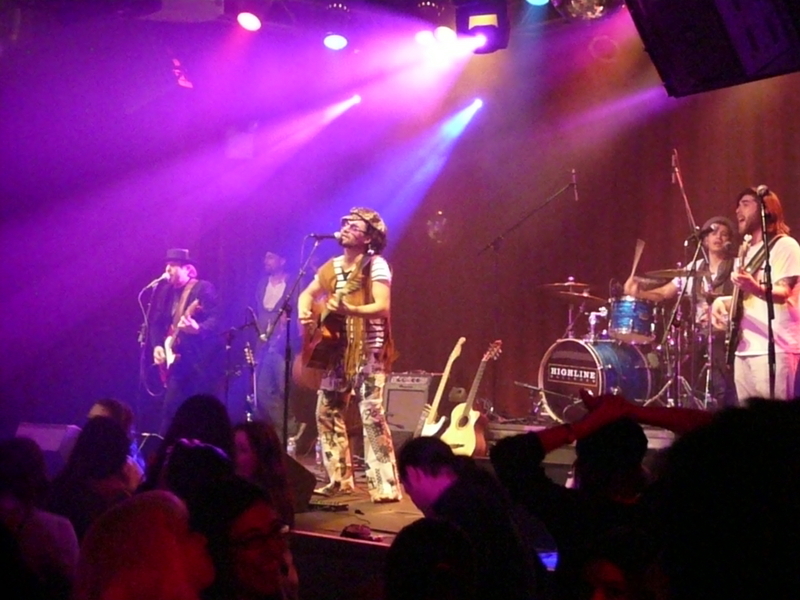 Soulfarm played the Highline Ballroom to mark the beginning of the Purim holiday. What a celebration it was! Well over half the audience was in costume; everyone had a splendid time. 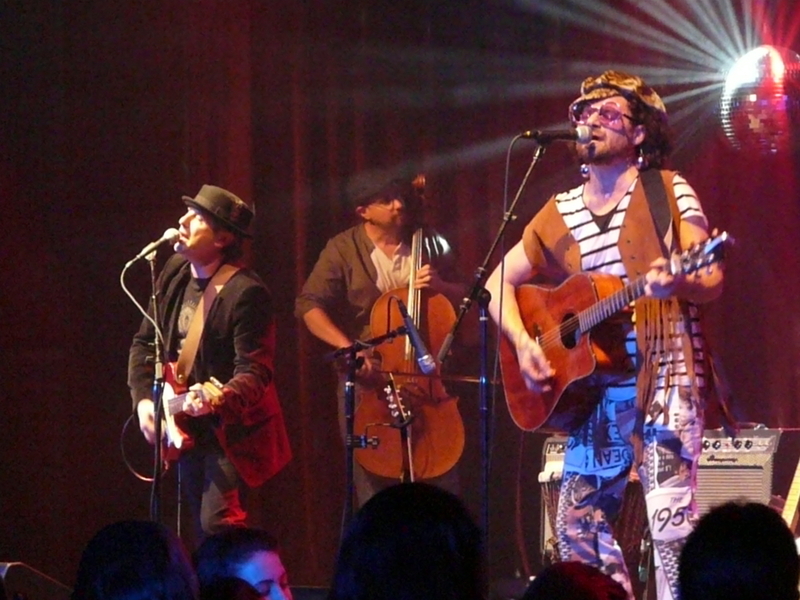 The band is one of the most eclectic I’ve ever seen, drawing from traditional Hebrew music, rock, folk, blues and the occasional Rolling Stones cover, with a heavy overlay of jam-band ethos. The resulting blend is something I can only describe as gypsy psychedelia. They left my head spinning. 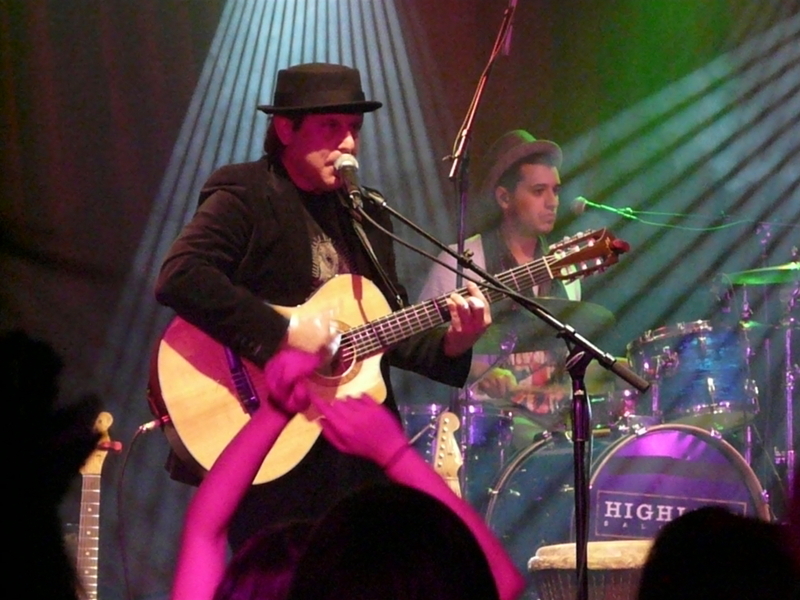 Noah Solomon Chase leads the band on guitar, mandolin and vocals. 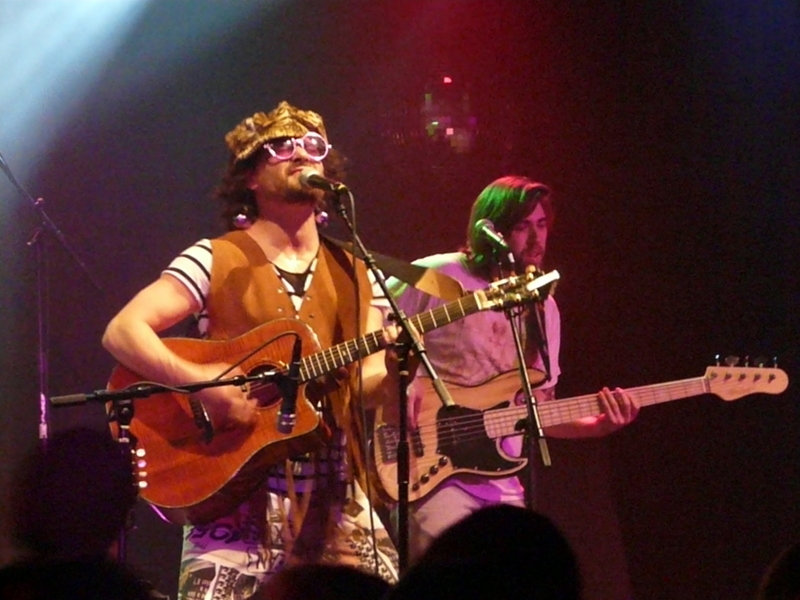 Mitch Friedman plays bass. 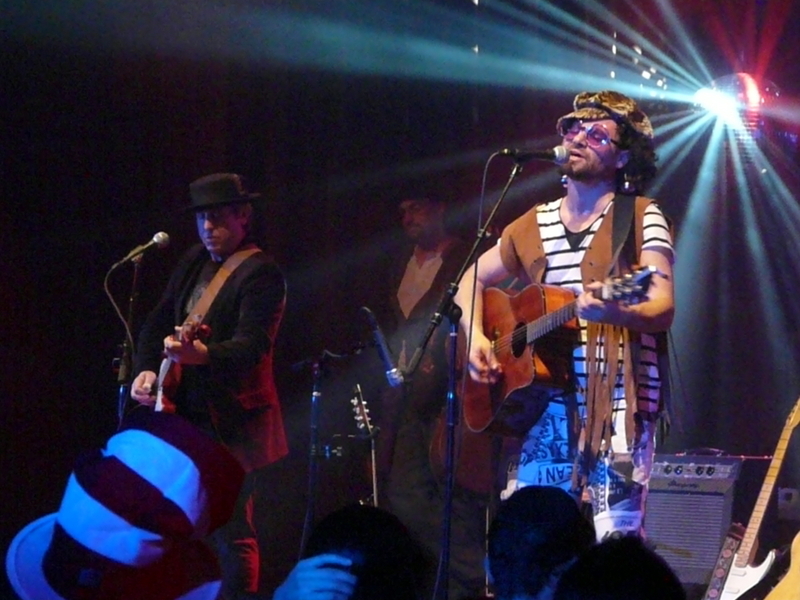 C. Lanzbom, on various guitars, is Noah’s musical partner; they’ve recorded several albums together apart from Soulfarm. Ben Antelis keeps the beat on drums and percussion. 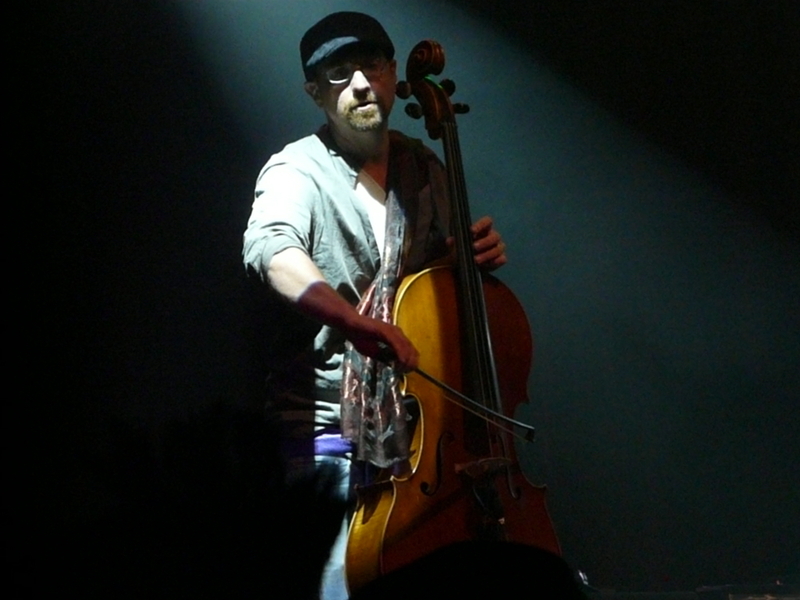 Dave Eggar brings a unique instrumental voice to the band, playing some of the most blistering rock & roll cello you’ll ever hear. 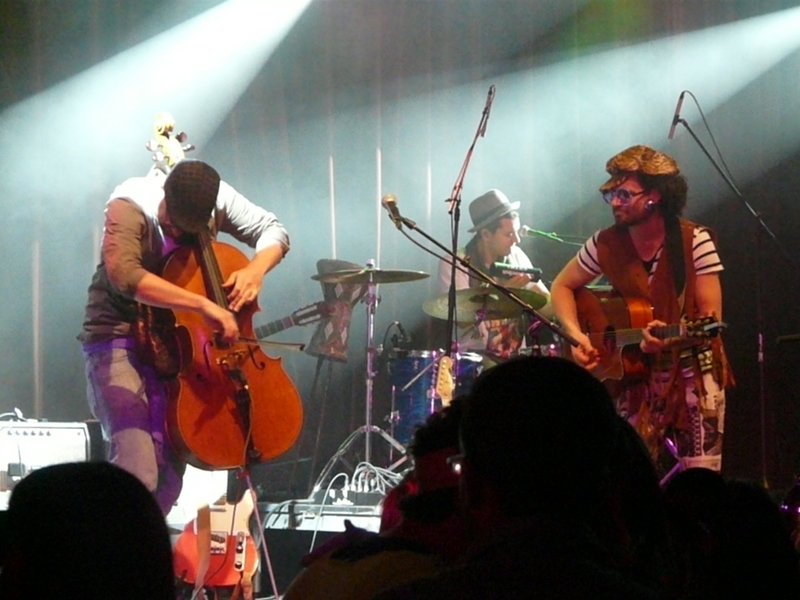 This is a band with a truly distinctive sound and heaps of energy. Like any good young jam band, they’ll play all night if you give them the chance. They wore me out; after nearly three hours, they were still going strong as I staggered out of the club to catch a post-midnight train back to Jersey.